In today’s world, homebuyers are often unclear about the roles of both the appraiser and the underwriter throughout a loan process, says TexasLending.com. The company’s highly qualified and experienced staff of professionals stands ready to put clients at ease regarding all aspects of this complex effort. Working in tandem, the appraiser and the underwriter have distinct tasks that must be accomplished. 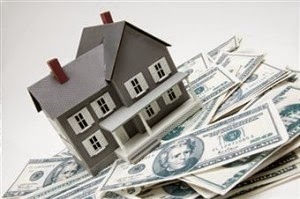 TexasLending.com explains the most significant role of the appraiser is to calculate the property’s true value. Most appraisers should have attained a state license, or at least hold certifications or qualifications of some type. Please note that appraisers are independent contractors and are not employed by TexasLending.com A licensed appraiser must follow the rules of conduct and code of ethics determined by The Appraisal Foundation. In the beginning of the process, an appraiser inspects the property both inside and out to look for potential flaws. It’s also necessary to examine nearby homes that might be comparable to determine what particular aspects of the property might be attractive to buyers, adds TexasLending.com. TexasLending.com notes that the underwriter’s chief role is to supervise the loan process while deciding if an applicant is financially capable of affording a mortgage. In order to make this determination, it’s necessary to uncover any misleading or false statements included on the loan application. The underwriter must determine the candidates’ creditworthiness by contacting one of the major credit bureaus such as Equifax or Experian. Once an underwriter has been given the appraisal, potential issues may be discovered about the property’s condition, advises TexasLending.com. At this time, the underwriter will consider the positives and negatives of granting the homeowner a loan. The underwriter then takes another look at the homeowner’s application and makes a final decision about loan denial or acceptance. Although the underwriter hopes to assist quality applications at every stage, it’s also important to make solid financial decisions for the benefit of all parties.